The first strawberries of the season are always a major treat. When these arrive, it really is one of the highlights of the early summer. While, or course, many of us enjoy eating the strawberries fresh, straight from the plant, grazing as we make our way through our polytunnels, it is worthwhile branching out a little to think about how else we can make use of these first strawberries of the season. Below are a few ideas for family-friendly strawberry recipes that are perfect for the time of year when these delicious fruits first ripen. This is an easy pudding for the family that you don’t even need to put in the oven! 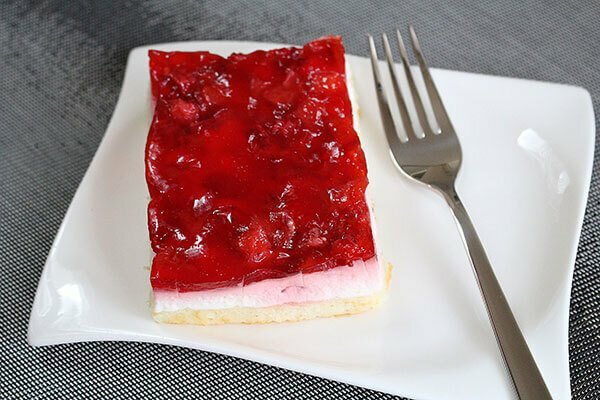 All you have to do is melt some butter or margarine and crush some digestive biscuits to make a base, blend some cream cheese with a little sugar (or honey) and lemon and then top this with your fresh strawberries. Leave it in the fridge to set for a couple of hours and it will be ready. So easy, yet so delicious, this recipe is perfect for a long summer weekend. Another easy recipe that is even suitable for vegans is a coconut milk and strawberry mousse. Simply chill coconut milk in the fridge and them whip it to a soft peak. Then simply add blended strawberries to the mixture and fold in gently. Top with some fresh strawberry slices and, if you wish, a drizzle of honey for a deliciously moreish dessert. Another super easy summer pudding is made with a purée of blended strawberries and mint or basil. This makes a great sauce for drizzling on top of some vanilla ice-cream. For a more grown up and sophisticated ice cream sauce, you could consider adding some ginger for a little hit of spice that goes very well with the strawberry flavour. One of the easiest ways to use blended strawberry mix for a summer treat is to freeze it to make intensely strawberry ice lollies. These are a real treat on a hot day and the perfect way to cool down after working or playing in your polytunnel or elsewhere in your garden. These are perfect for kids and adults – everyone can enjoy their fresh, sweet flavour. You may be surprised to learn that there are also a lot of savoury recipes in which you can enjoy fresh strawberries from your polytunnel. Why not add some strawberries to a simple summer salad, along with leafy greens and edible flowers, for an intensely colourful salad that is perfect for a summer barbecue, picnic or for any special occasion over the summer months. If you would like to recommend another way to use the first strawberries of the season, let us know in the comments below.